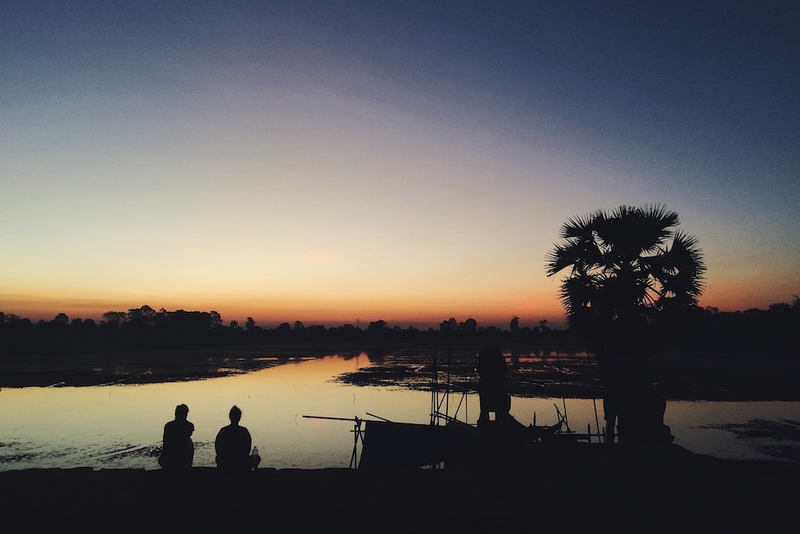 Here’s how to do the sunrise thing at Angkor Wat: Arrange a tuk-tuk for a 4:30 a.m. pickup from your hotel, purchase your admission pass from the Angkor Archaeological Park by 5 a.m., and book it straight to Srah Srang temple. 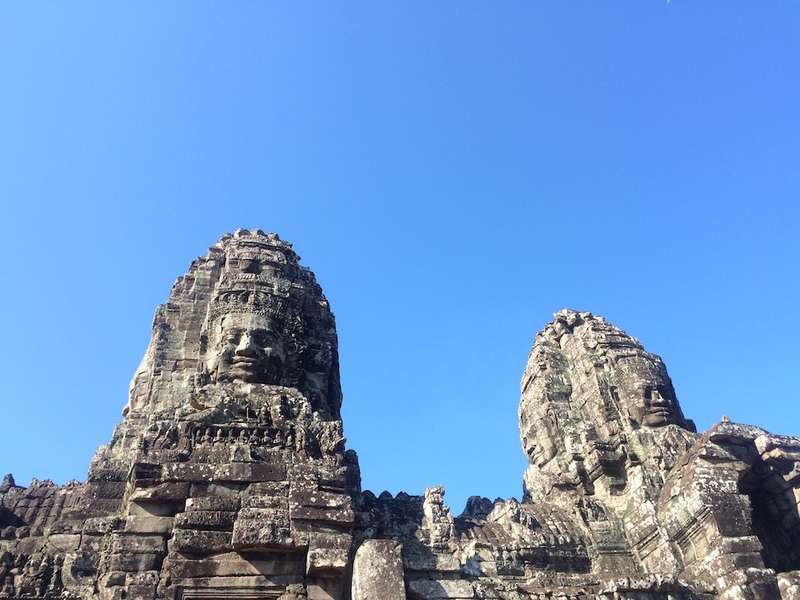 The view is still dramatic, but it far fewer morning visitors than the main Angkor Wat temple. (And seriously, how many times has that vista been shot? At least a jillion.) By comparison, you might encounter a two or three tourists at Srah Srang, plus a couple of doe-eyed, trinket-vending preschoolers. 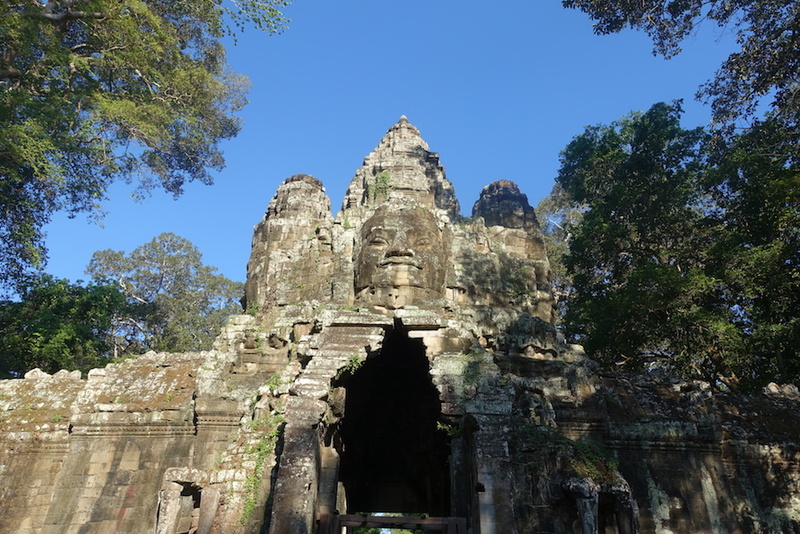 After the sun is up, ask your driver to take you counter-clockwise around the big loop, hitting Banteay Kdei, Ta Prohm (a.k.a. 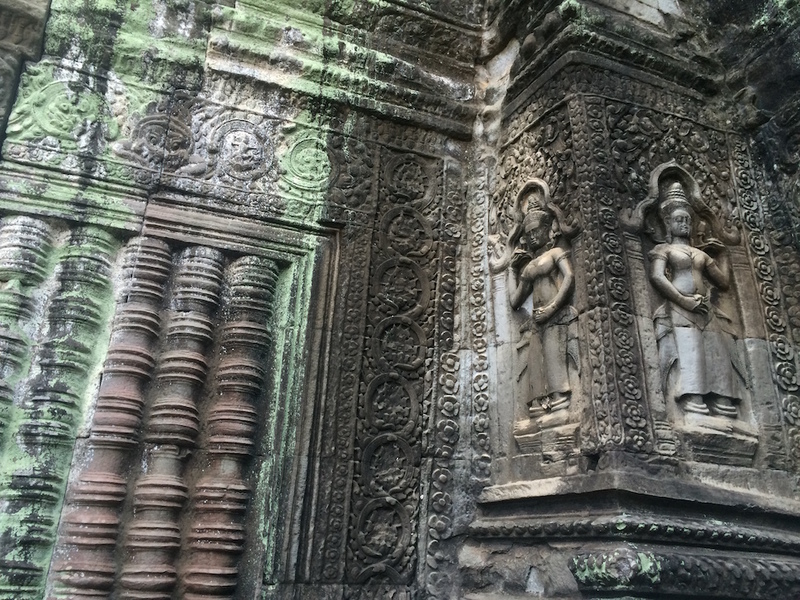 the Tomb Raider temple), the Terrace of the Elephants and Bayon in Angkor Thom, plus whatever else catches your eye. The more overgrown the ruins and/or faded the bas reliefs, the cooler it is. 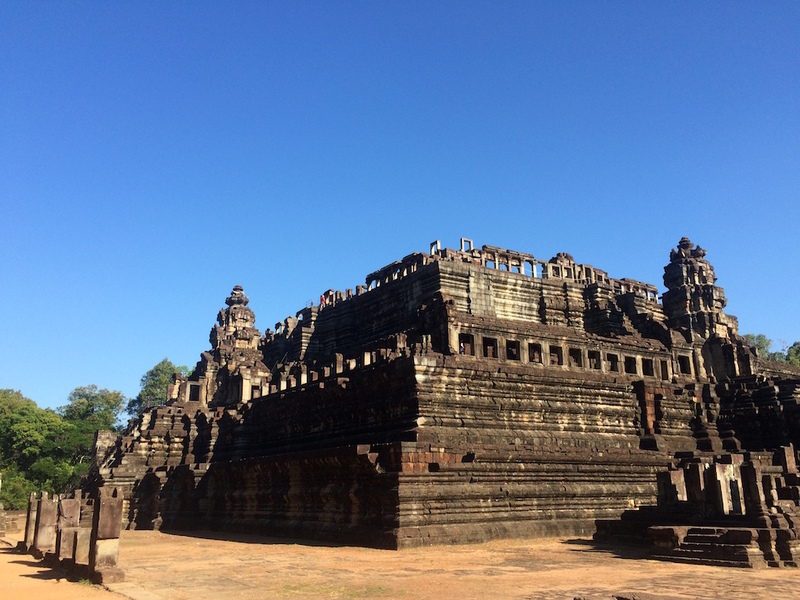 End the run, like a genius, at the Angkor Wat temple where everyone else started. Do this in the low season and you’ll have the first three stops almost entirely to yourself—an experience well worth the price of admission. 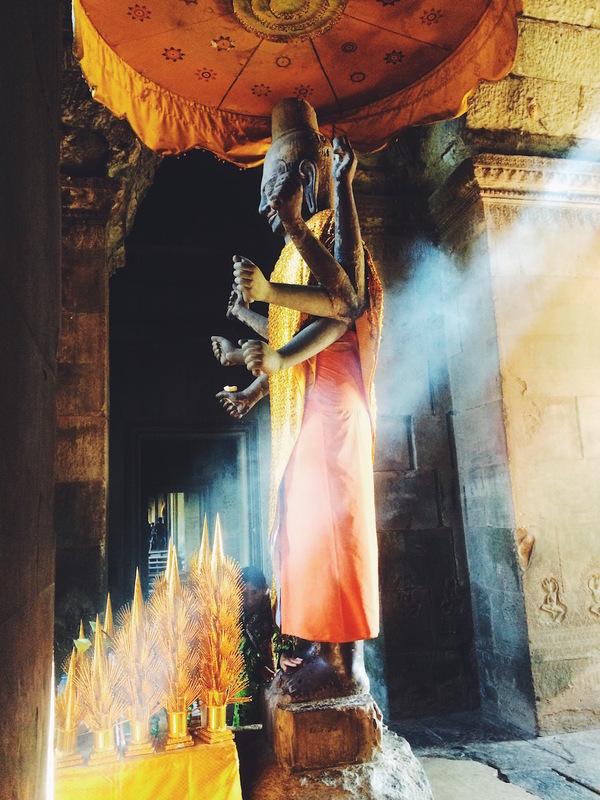 Depending on the time of year you visit, the heat at Angkor Wat is brutal. BYO sunblock, sweat rags, bottled water, hat, umbrella, and strap-on air-conditioning unit, if such a thing exists. Try to wrap up your visit by 10 a.m., or consider breaking from 10 a.m. to 2 p.m. and resuming your Indian Jones-style adventuring in the afternoon. 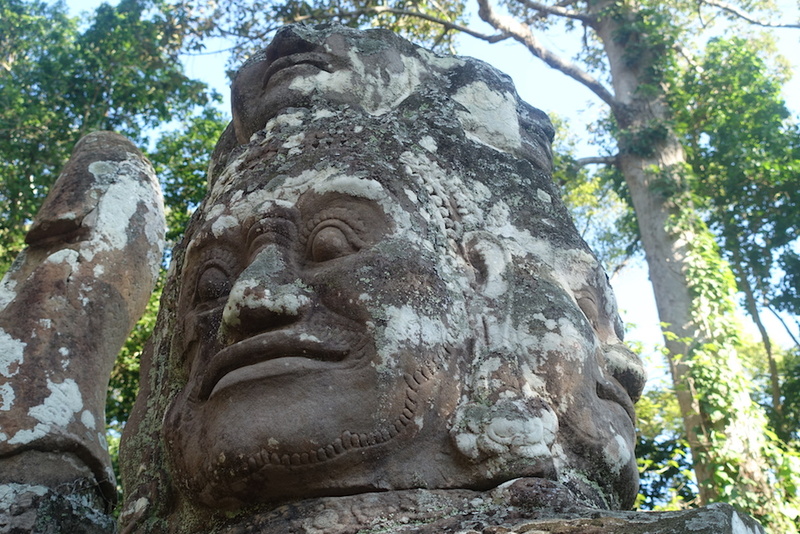 Angkor Wat temple complex, Siem Reap, Cambodia.